DETROIT February 25, 2016 -- Today, Thom Connors, general manager of Cobo Center and regional vice president of SMG, announces the successful implementation of Cobo’s kitchen composting program. Kitchen staff training, bright green compost containers, dedicated loading dock storage, and daily pick up during large events are the proven winning combination of elements to the successful program. 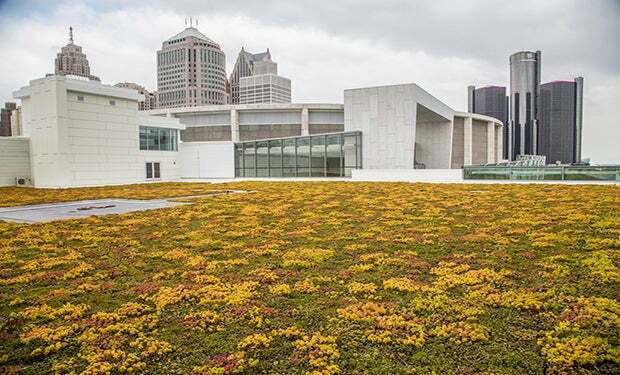 Cobo Center’s sustainability program began in 2012 with the formation of its Green Committee. 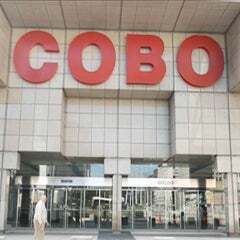 Soon after, Cobo became the largest Green Venues Michigan certified facility in the state. 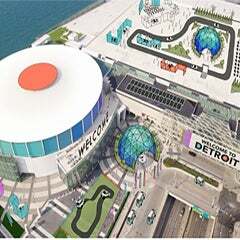 In 2015, Cobo also achieved the Green Meetings Industry Council’s APEX/ASTM standard certification, becoming the 9th convention center in the United States to do so. In between certifications, Cobo received an EcoWorks Sustainable Communities Champion Award, Detroit Free Press Michigan Green Leaders recognition, and the Keep Michigan Beautiful President’s Plaque, their highest honor. Across the board in every category, the recycling effort of the Cobo Green Committee is well ahead of last year’s pace. Nearly 60 tons of total trash has been diverted from the waste stream in the first four months of Cobo’s fiscal year, which began in October. Waste diversion is not the only focus of the Cobo Center Green Committee. Millions of dollars were saved with energy saving measures included in the recent 5-year renovation: enclosing the loading docks, increasing natural daylight coming into the building, installing a living green roof, energy saving plumbing and HVAC equipment, and energy saving elevators and escalators. Along with these features, operational systems and monitoring such as daylight harvesting (light-meters that adjust lighting according to daylight readings) and a computer-based platform for lighting and HVAC control, continuously insure optimal savings. About SMG: Since 1977, SMG has provided management services to more than 240 public assembly facilities including arenas, stadiums, theatres and performing arts centers, equestrian facilities and convention, congress and exhibition centers. Visit www.smgworld.com for more information.